Antennarius commerson (Latreille 1804), the Giant or Commerson's Anglerfish. 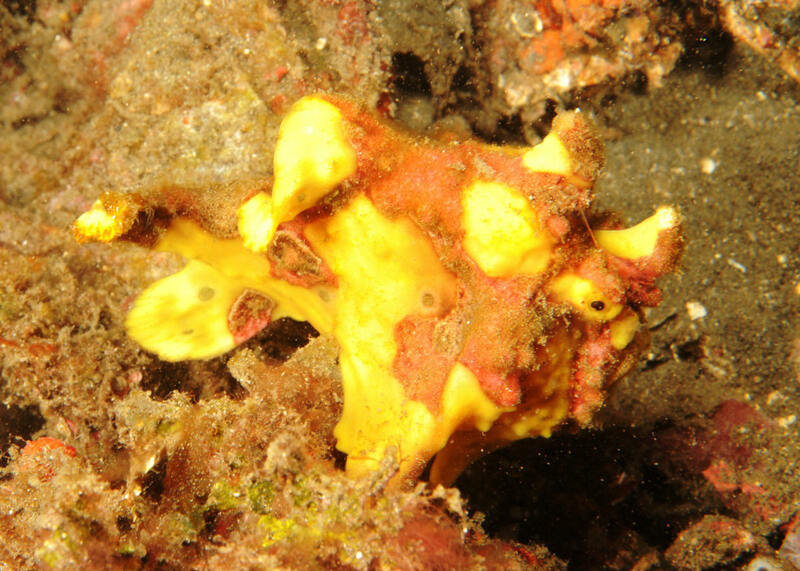 N. Sulawesi. To 13 inches in length. Widespread in the Indo-Pacific; Red Sea to Hawai'i. Occurs in nearly all colors, patterns (w/ the exception of blue!) matching sponges they're found in association with. 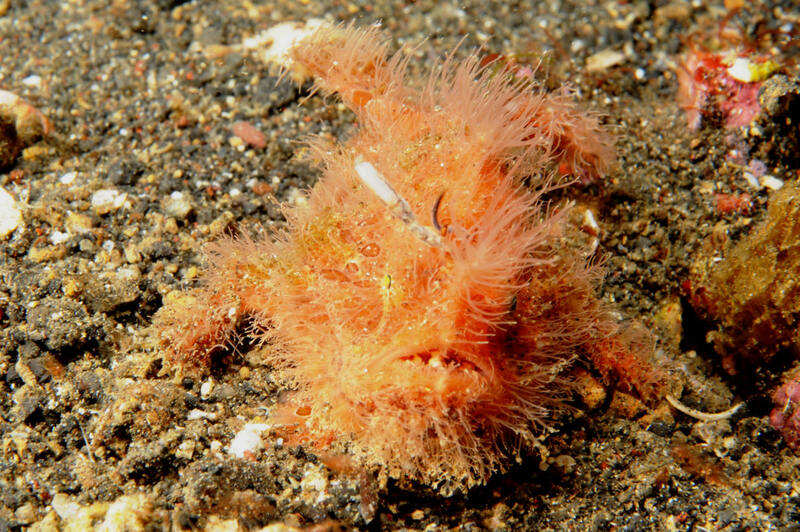 Antennarius hispidus (Bloch & Schneider 1801), the Hairy or Shaggy Anglerfish. Indo-Pacific; particularly Malaysia, Indonesia. To eight inches in length. Coastal bays near camouflaging sponges. Occur in oranges, tans, yellows, and black. N. Sulawesi image. You can tell this species apart from the similar A. striatus by its pom-pom like esca.